What is true knowledge? Dada Vaswani's teaching on knowledge offers a valuable lesson! These days, everyone is an 'expert' on a given topic and this is most evident on social media. From make up to nutrition to every topic under the sun including coffee, wine and herbs, there are experts on every social media platform. This is not a bad thing. In fact, it can prove helpful in your quest for knowledge but sometimes these are misleading as well. Not all that shines is gold, remember? So how do you figure out the mark of a person with knowledge as compared to those who proclaim it to the rest of the world? 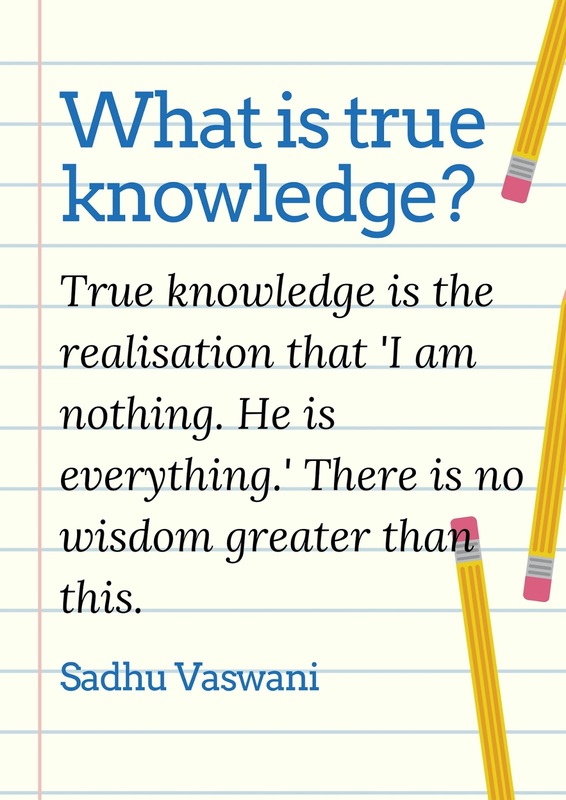 Here is a wise quote from Ruzbeh N Bharucha's book, 'Conversations with Dada Vaswani' offers us a powerful insight about knowledge and what it means. 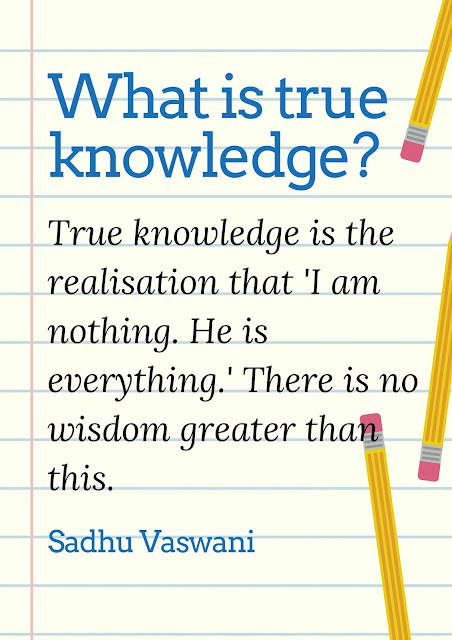 Sadhu Vaswani, who is much loved and revered as a spiritual master, shares the crux of what knowledge stands for. True - there is no wisdom greater than this.